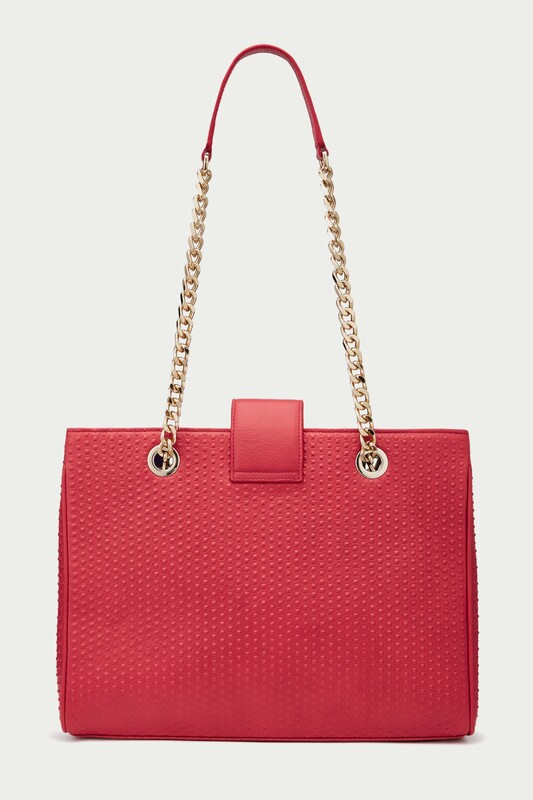 This chic, versatile carryall is smart enough for the office and equally practical for the weekend. 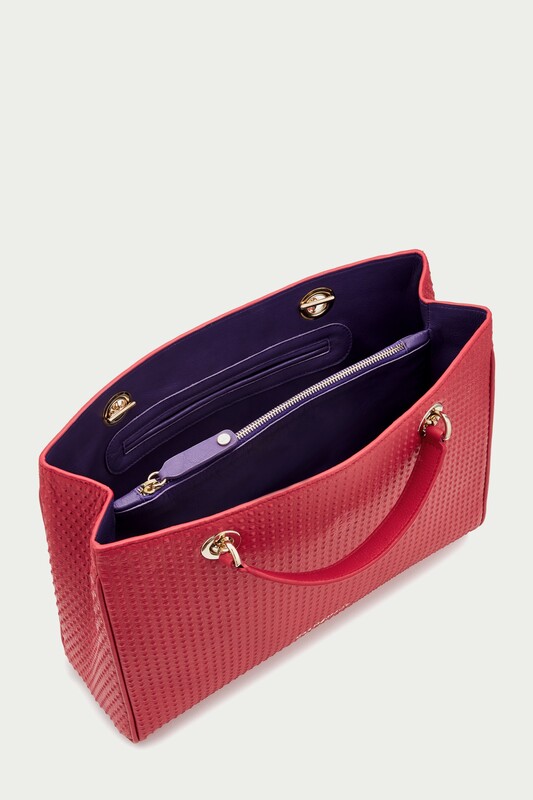 Made from textured leather, this style opens to reveal a contrast leather lined interior and three compartments to keep your essentials neatly organised. Back and interior image shown in embossed leather.